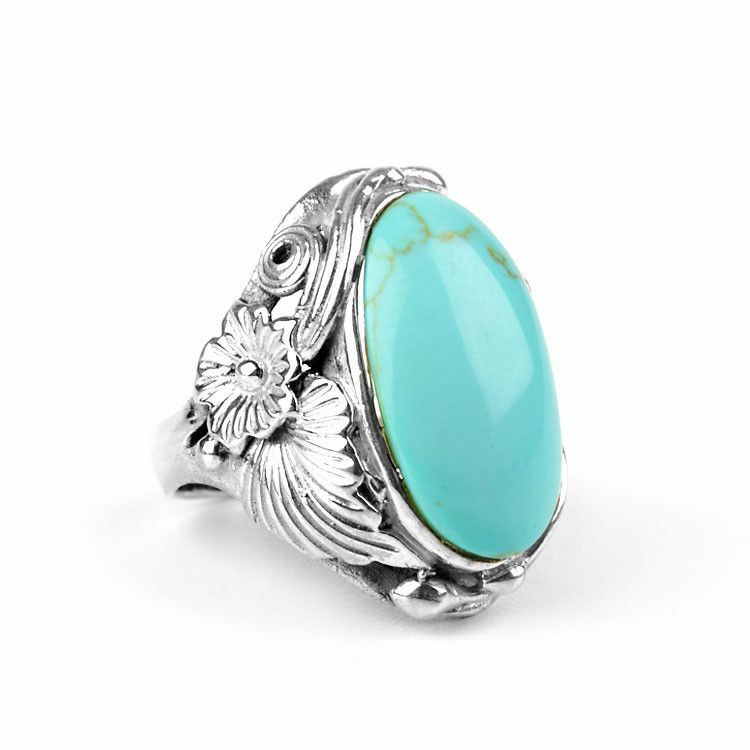 This fabulous ring features a large, natural turquoise stone (7/8" x 1/2") set in a delightful sterling silver design of flowers and leaves. 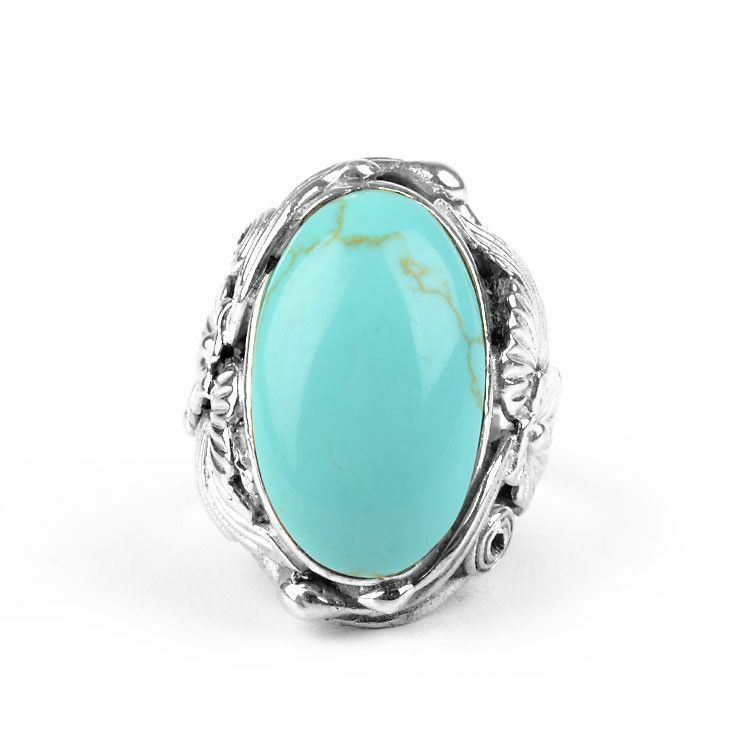 This very comfortable ring is sure to grab the attention of jewelry and/or turquoise lovers! 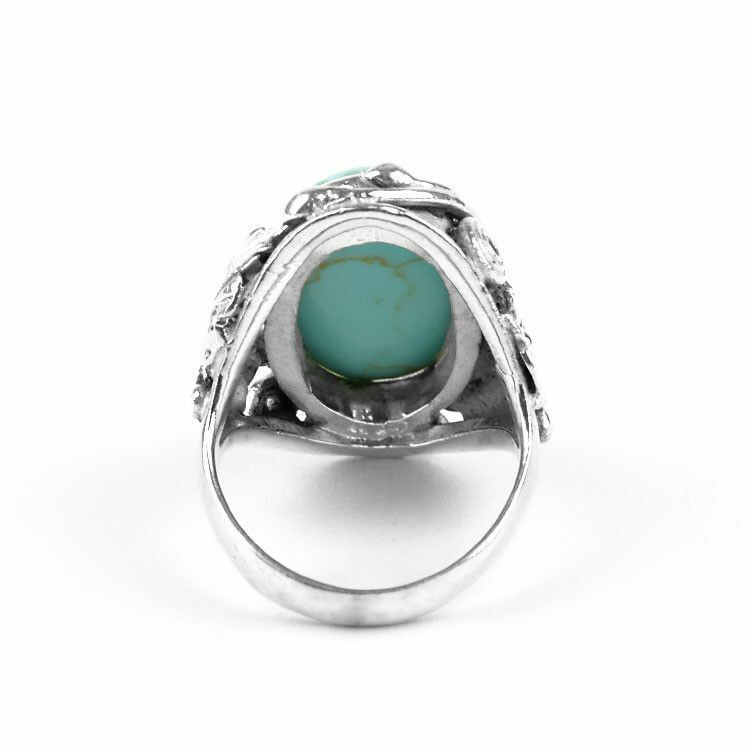 The entire face/top of the ring is about 1 1/8" long. 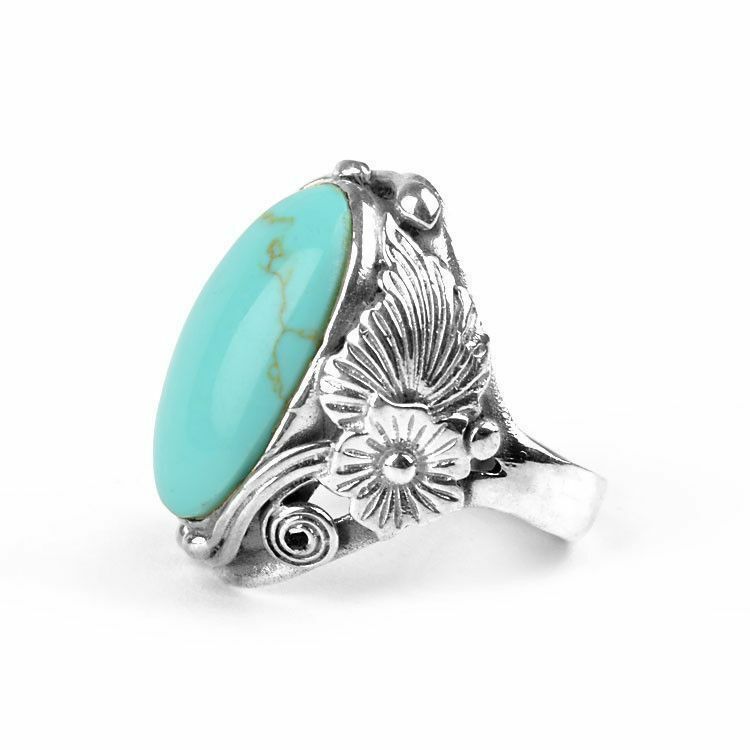 Stone measures about 7/8" x 1/2"